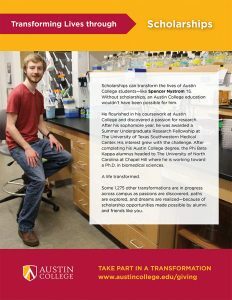 In my travels through Texas and around the country, I encounter two types of people: those who believe that Austin College is among the finest colleges in the country, and those who have never heard of Austin College. January Term is special. Taking only one course provides a change of pace, a chance to study a subject outside students’ regular academic interests or to delve deep into one topic. Students of Jacqueline Moore, Austin College professor of history, have long known she is a great teacher. Announced as Texas Professor of the Year, Jackie’s dedication and expertise obviously have been recognized by others too. The Kenneth W. Street Advocacy Courtroom was dedicated during Homecoming 2015, honoring the longtime faculty member whose name has long been synonymous with law and public service preparation at Austin College. Beginning in 2017, the Austin College football team will compete as an affiliate member of the Southern Athletic Association (SAA). Both Austin College and Trinity University will join the SAA in football only, continuing membership in the SCAC across all other sports. In today’s society, questions abound about the value of higher education, particularly liberal arts education. 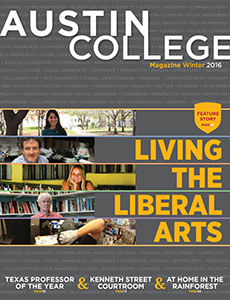 Those who have experienced a quality liberal arts education have ready responses. 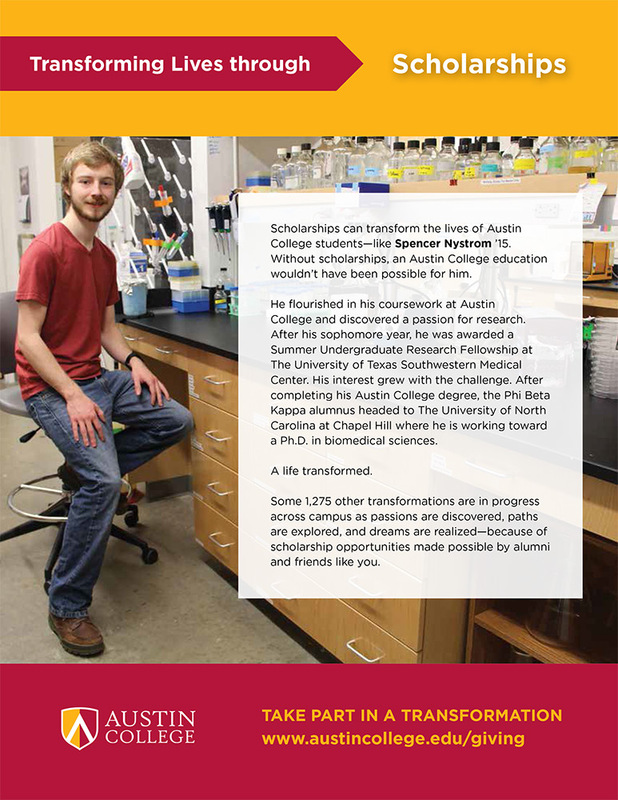 Since 2008, 112 Austin College students have been selected as Global Outreach Fellows, serving nonprofit organizations in 40 countries around the world.